Go to companystore.com if interested. For awhile they had the queen sized sheets for $20! but those were gone by the time I found this. In a few days I will need to explain to Bob how we acquired yet another comforter. Veni, Vidi, Visa. Those sheets are really cute. I do need super deep pockets on my fitted sheets, however. 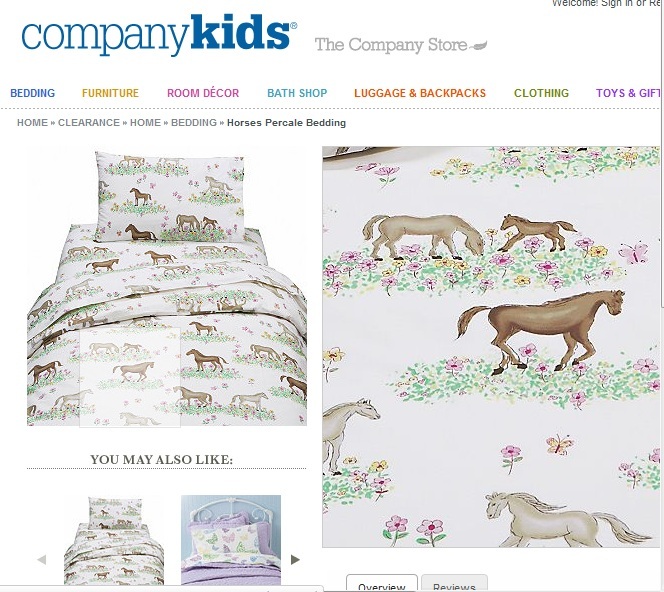 But I do have some horse sheets for fun, anyhow.